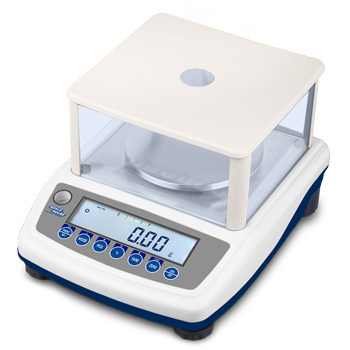 Multifunctional scale, suitable for laboratory and industrial use. Available also CE-M APPROVED for legal for trade use. Electronic moisture analyser with very high resolution. DIVISION (g): from 0.002 to 0.01. CAPACITY (g): 150, 300, 600. Backlit LCD display with 7 digits 16mm high. Waterproof membrane keypad, with acoustic feedback, with 7 keys. - HLD300 and HLD600 models Ø 120mm.Draught shield, level and adjustable feet. Built-in rechargeable battery (about 30h battery life) and 230 Vac power adapter. RS232/c port for connection to PC or printer. Packaging: 370x240x250mm size - approximate weight of 2,7kg. - CE-M approval in class III. OBTPRSH (S1) ABS thermal printer for Scale House products (to be combined with specific cable for each scale). 58 mm paper width; 50 mm roll diameter; power supply through built-in 110-240 Vac power adapter. RSCBBC 1,5 m cable for connecting AFW, ALGM, ASB, ASC, ASG, BCSD and HLD series scales to OBTPRSH printer. RSCBP2P 1,5m cable for connecting to PC. SHAL14 12V 500mA power supplier (EU). 15HLDK Membrane keyboard with overlay (HLD). 15HLDRP Round stainless steel weighing plate (HLD150/300/600). 15HLDRU Round plastic underplate (HLD150/300/600).